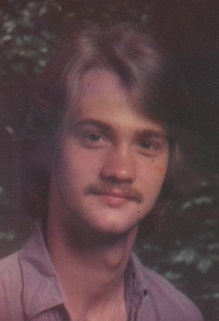 Obituary for James M. Richards | Cromes-Edwards Funeral Home & Crematory, Inc.
JAMES M. RICHARDS, age 54 of Sidney, passed away Saturday, January 19, 2019 at 3:50 PM at Miami Valley Hospital. He was born on August 11, 1964 in Piqua, Ohio, the son of the late Peary and Viola (Adams) Richards. On June 1, 2007 James married Jennifer Banning Richards, who survives along with three children, Jennifer N. Richards of Piqua, James Peary Richards of Sidney, and Zach Ryqol of Houston,Texas; and one grandchild on the way, Sa'Rae Arielle Otero. He was preceded in death by his brother, John Richards. James was a good and loving son, husband, and father. He was taken away too soon. In keeping with Mr. Richards' wishes, there will be no funeral services. His final arrangements are in the care of Cromes-Edwards Funeral Home, 302 S. Main Ave, Sidney. Memorial condolences may be expressed to the Richards family at the funeral home's website, www.cromesfh.com.